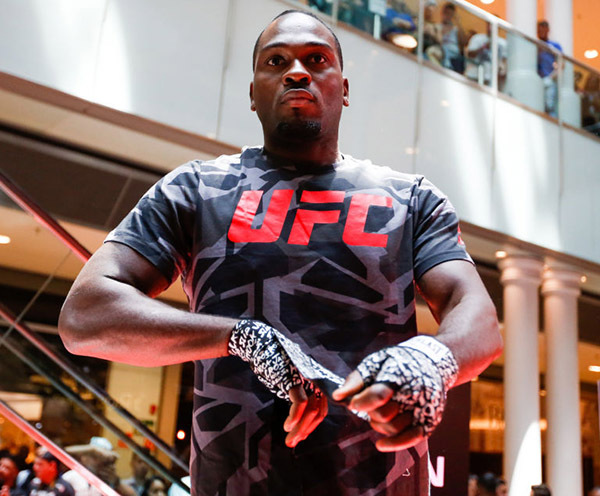 Following a wild two-fight stretch that saw his five-fight winning streak disappear at the hands of Robert Whittaker and Anderson Silva, Derek Brunson had to travel halfway around the world to get his mojo back. And in New Zealand, he got it. What he needed to do was tone down the outbreak of the wrestler’s disease that had broken out. In other words, he needed to remember that he still had a wrestling game and didn’t need to just punch everybody, and that at this level, it’s not always how you attack, but when. Kelly, winner of four straight heading into the Auckland bout, turned out to be the perfect foil. And it made the long flight back to North Carolina that much better. 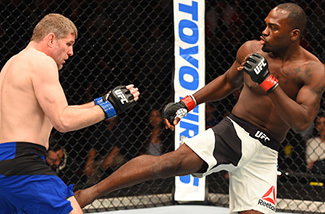 This Saturday, Brunson returns to the Octagon for a main event assignment against Lyoto Machida in Sao Paulo. The Wilmington native is no stranger to being on the road, and that even goes for his fight prep, which takes him to Atlanta once a week to work on his Muay Thai game. It can be an exhausting price to pay, but the 33-year-old is making it work. If Brunson – who has ended his last five wins by knockout – is adding skills to his standup attack, that’s a scary proposition for his opponents at 185 pounds, but more importantly, his main focus these days are on the intangibles that can’t be drilled or taught. And while the No. 7-ranked contender’s main focus is on doing this for himself, at the same time, he’s setting an example for the fighters in his gym who hope to follow in his footsteps. And what better way to show off what he’s been doing than to pull off a big win over the former light heavyweight champion this weekend? Of course, it’s easier said than done, especially since the always tough to decipher Machida may be even more so since he’s coming off a two-year layoff. But Brunson has found his solution, and that’s to prepare for the best “Dragon” possible. And in 2018, Brunson expects to make his move and help bring some clarity to a wild weight class.